Carmarthenshire Fungi: In search of the Marsh Honey Fungus. 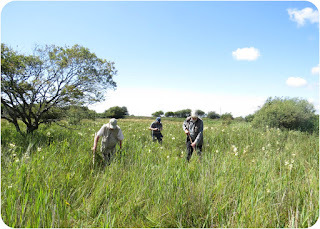 In search of the Marsh Honey Fungus. 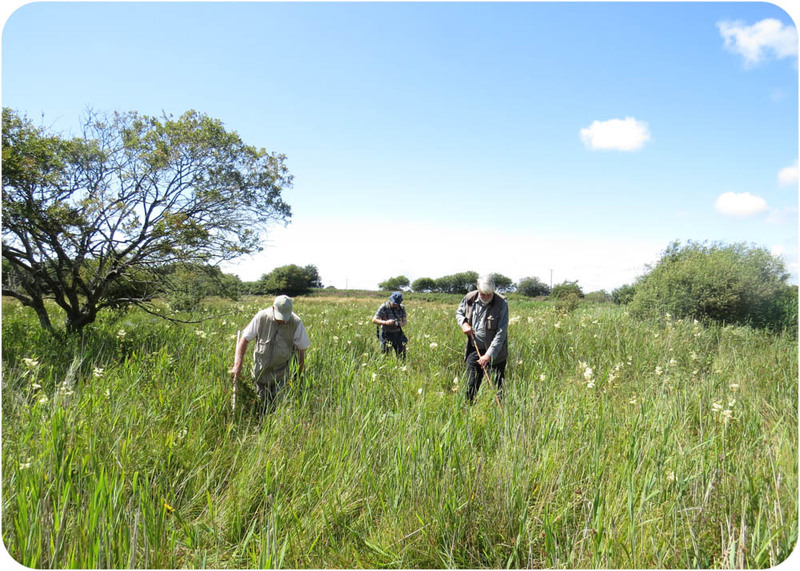 Philip, Peter and Tony searching the marshes. Yesterday the Carmarthenshire Fungus Group ventured into the wilds of Ffrwd Fen in Pembrey to search for the Marsh Honey Fungus, Armillaria ectypa. 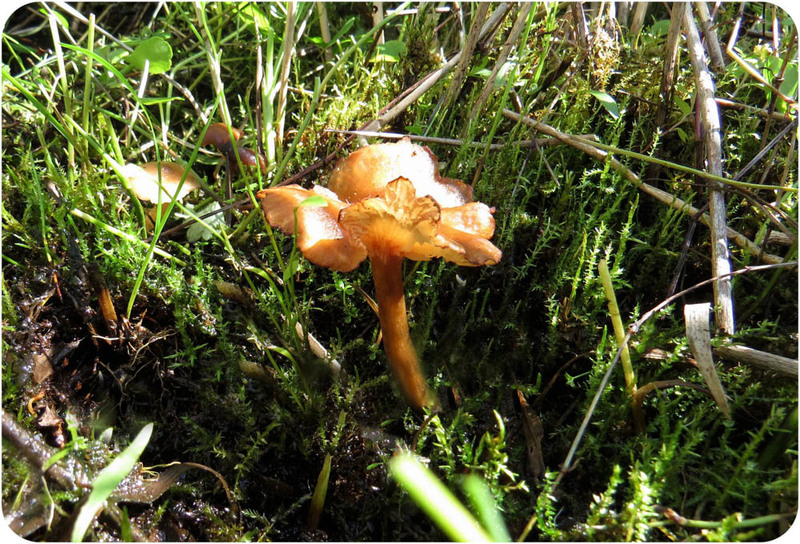 Philip found this rare mushroom here (it only exists in 4/5 locations in the UK) some years ago, and as the species was listed in Kew Garden's new "Lost & Found" project, it was hoped that we could get Carmarthenshire mentioned in dispatches by finding it again. In a manner that a Red Indian scout would have been proud of, Philip led us expertly through the wilderness and lo and behold, much to everyone's delight, we actually manged to locate this elusive mushroom. Let's look forward to a lot more successful outings this year. If you would like to join us at any time please let us know. I tried looking for the marsh honey fungus there a few years ago, on the way home from a day on the beach. .Didn't find it of course and got shouted at by a farmer when I got lost. So top marks veryone - looks like a needle in haystack job to me.